Read this article to know during a huge fall mid-cap companies perform better. I did some research today to find out what kind of companies will perform better in a rally if it comes after a huge downfall. Please have a look at the two images below taken on 22-Nov-2016 (Tuesday) at approx 1.10 pm to do a detailed research on what companies will participate most in a rally. Please note that Nifty will move on the basis of these Nifty-50 stocks only. If they move positive and the rest move negative still Nifty will move positive. If Nifty-50 stocks move negative and the rest move positive, Nifty will move negative. From time to time the market makers of Nifty decide which stock to keep in Nifty 50 and which to move out as only 50 stocks are kept in Nifty 50. There is a selection criteria based on which a company qualifies to be in that elite group. Greedy traders buy these stocks as they think a 90% fall will give them a 90% return as soon as the stock bounces. And they think it will happen in 30 days because the stock fell more than 90% in 30 days. This is nothing but pure speculation and greed which you MUST AVOID. Never enter an unknown stock if it has fallen huge. Only buy stocks that are well known among all stock traders and a company with a strong ECONOMY MOAT. Question: The top loser in your list like Viji Finance & Karur Vysya Bank is not looser to such a huge amount. Data for Viji finance is wrong in your source, & Karur Vysya Bank is down due to sub division of face value from 10 to 2. The same is with Indo count stock split from 10 to 2. So the thing is before jumping to conclusion we have to think for reasons of fall also. Do Not Get Greedy and Buy any Unknown and Less Traded Stock Under Any Circumstances Even if There Was a Split. A Split Does Not Justify Buying A Stock. In fact all the stocks that you have mentioned, I heard for the first time. 90% of the stocks in that list I had no idea about and heard for the first time. VIJI Finance – What is this? What they do in finance? Do they give loans? If yes to whom because I have never seen a person taking a loan from VIJI Finance. Karur Vysya Bank? Where do they do business? I have not seen a single Karur Vysya Bank in my metropolitan city, so why should I buy its shares? There are better Banks stocks available to buy, I would rather invest my money there. I do not care if they were split I will still not buy it so no need to waste my time on researching these penny stocks. Indo Count – Count what count? I mean what do they count? Everybody can count 1,2,3,4 to 100, even 1000. If a company does not even know how to register its name how on earth it can be considered a good company? Sorry will not buy. The name of the company should either a well known company or at least clearly specify their business. 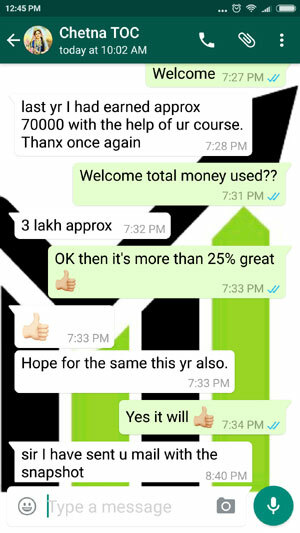 For example my website name is The Option Course – as soon as someone reads they will understand what it offers – it does not offer tips on Options, it offers a course on Options. Hope it is now clear why I have said we need to stay away from these penny stocks. 1. Not a single Nifty-50 company is in the top-performing list. 2. The top gainer of all companies is PNB Gilts Ltd. As of writing it has hit an upper circuit and trading is halted on this stock. In the last 30 days it is up by 67.37%. This is huge. 3. 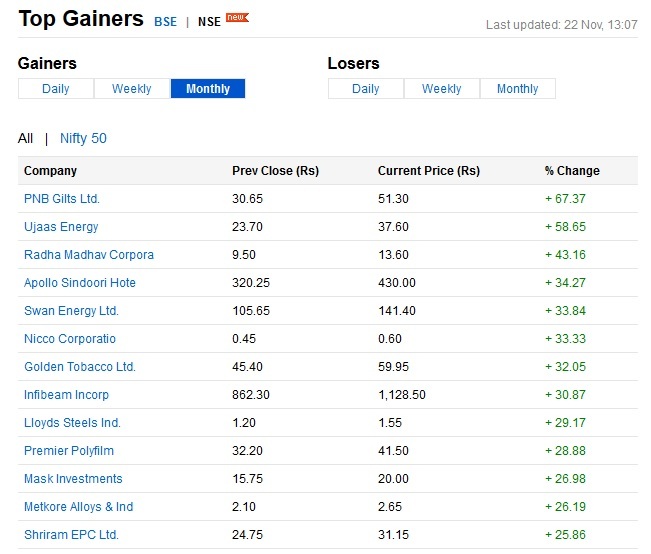 The top gainer of Nifty-50 companies is Hindalco Industries with a gain of just 8.17% in the last 30 days. Compare this to 67.37% of the top gainer. 4. Only 5 companies out of 50 are in positive the rest 45 have given negative return in the last 30 days. 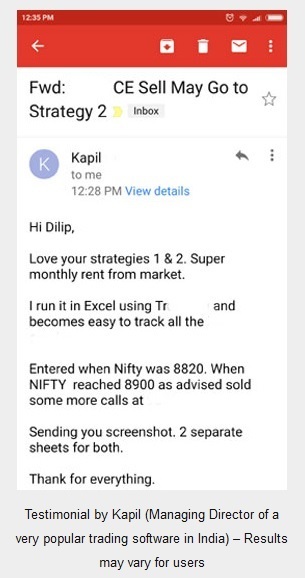 That is the reason Nifty is down since last 30 days. 5. Top loser in Nifty 50 is Asian Paints Ltd. sitting at a loss of 22.31%. 6. 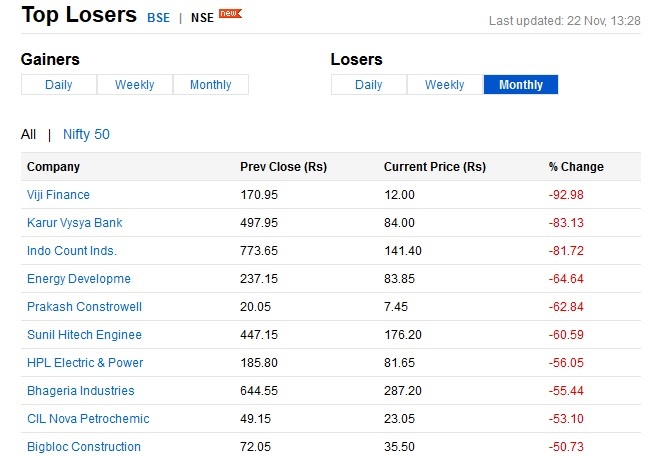 Top loser in all NSE companies is Viji Finance – from a high of 170.95 to trading at 12.00 today, which is a loss of 92.98%. Almost all money gone in 30 days. Which means unknown companies fall like there is no tomorrow. DO NOT ever buy shares of companies that are not known at all to common people. In fact just today I knew about a company called Viji Finance. Even if it has fallen by 92.98% – I will still not buy it even if I want to buy just one share which is trading at Rs. 12/-. I would rather buy a chocolate for Rs. 50/- and give to my kids than buying even one share of an unknown company. Please NEVER EVER LOOK at these companies when you think of buying stocks. There are plenty of companies which are well known among retail traders and if you still have no idea please do research on only the Nifty 50 companies if you want to invest for long term in stock markets. Rest of the shares buy only after gaining some experience. 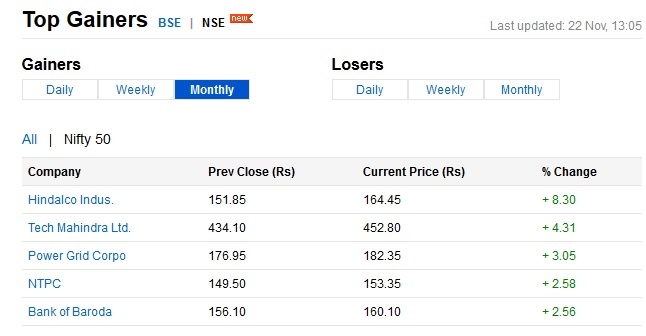 Here is where you can find list of Group Wise companies traded in BSE and NSE. Your research should be limited to Group A and B from NSE or BSE. The rest of the groups please do not even open the link so that by mistake you invest in a bad company. STAY AWAY FROM GREED. IT NEVER MAKES MONEY. What does my research says? Bigger rally will be in Group B stocks. Unfortunately or fortunately they DO NOT contribute in the movement of Nifty so when Nifty will start moving up the move will be slow not like the way Group B shares will move. This is Good News For What Kind Of Investors? Those who are doing a SIP (systematic investment plan) monthly equal investments in 4 or 5 star rated mid-cap mutual funds. Within 4-5 months they are going to enjoy huge profits. If you are invested in mid-cap mutual funds please do not sell and exit now. This is time for some patience testing and more investing rather than losing patience and selling. Do not do it. Stay invested. It is matter of just some more time. What others can do who have not invested in mid-caps? Frankly it is better you sit on the sidelines and start investing in a good mid-cap fund by the SIP route. It is automated so there is not much work involved except just once when you decide to start. Now days you can invest online in mutual funds as well. Of course you need to do KYC (Know Your Customer) which they will inform and collect the requisite documents from your home. Please try to invest in direct-funds rather than through a broker in a normal fund. Direct funds give almost 1% return more than a normal funds where a broker is involved because some percentage is given to him for bringing a client and part of profits are also shared with him. That’s the reason I have shifted all my mutual funds holdings to Direct-Funds. My returns are almost 12% per year since 2011. 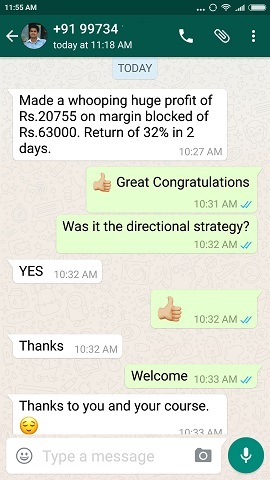 When I started investing in mutual funds, I did a few mistakes but that was due to bad advice by my broker who invested all my money in an NFO (New Fund Offer) which lost 10% in one year. Of course this loss again forced me to do research on mutual funds as well. Now I do not invest in any fund which is less than 5 years in existence. Also I make sure it is rated a good fund 4 or 5 stars by CRISIL or Value Research or Money Control. And of course I invest in direct-funds only so that no broker takes my share of gains. Please click on the above links and research. This is NOT a tip providing website. The above article is for educational purpose only. Before investing in any mid-cap mutual fund or a company please do your own research. Stock market investing is subject to market risks so please invest carefully and control your greed. Systematic investments is the best way to invest in any stock or a mutual-fund. 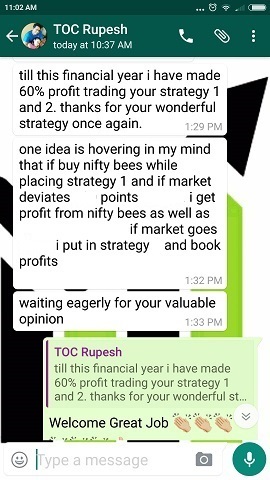 You are happily doling out advice to naive investors no matter where the Nifty is! I suppose it is safer to collect the ‘course fees’ rather than dip the toes in turbulent waters! Keep it up, because the supply of suckers is always guaranteed in our country. Vasudev, You are right but what to do I have a desire to help people. I don’t know about others, but VIJI finance and Indo count are the stocks which gone ex-split and not crashed 90%. Even Indo count is a stock with better fundamentals so it can be investment any time. I did not see it as in any case these useless stocks do not matter to me. BTW how is Indo count a stock with better fundamentals? Even if it has I would rather invest in a large cap stock rather take undue risk and make money. May be I will invest in a good stock and make 15% return a year and someone might invest in Indo count and make 16% return in a year. For that one percent he will live a life in hell, while I will w\be enjoying my life peacefully because I know I have invested in a strong fundamental and a big companies stock while that person knows very well that he has taken a big risk. What will he do with that extra one thousand? Buy a few drinks that is all and another risky investment will take away even the principal invested. Over the long run its better you stick to fundamentally strong and Group A stock. Else live a risky life is your choice. Indo count From 141 to 159 in two days. I hope now all doubts are clear about fundamentals. Yes, about greed, me too, hold the same opinion like you. Last one year Indo count From 193 to 155. I do not care what happened in two days. An Option also becomes 10 to 20 in one day still Option buyers are the biggest losers. I don’t know about other entries; but ‘Indo Count’ is reflection of 1:5 stock split. Thus it would be better to check for other entries as well for ex-split / ex-bonus price adjustments. Yes I know that but still these kids of stocks, it is better do not buy. The above losers shown by you in percentage form is not exactly that. It is because of share split taken place in the company. So I thing you should modify this figures. I do not care for splits I care for the STOCK MOAT. Not a single company above in the top loser image has a good MOAT. Who cares for the splits or dividends then? DEVESH yes I agree. In fact I got a few emails also about the same things which I will upload later. But frankly please try to understand what I am saying that is the essence of the article that DO NOT GET GREEDY AND BUY UNKNOWN AND LESS TRADED STOCKS UNDER ANY CIRCUMSTANCES. In fact all the above stocks that you have mentioned I heard for the first time infact 90% of the stocks in that list I had no idea about and heard for the first time. VIJI Finance – What is this? What they do in finance? Do they give loans? If yes to whom? Karur Vysya Bank? Where I have not seen a single Karur Vysya Bank in my metropolitan city,so why should I buy its shares? Indo Count – Count what count I mean what do they count everybody can count 1,2,3,4. If a copmany does not even know how to register its name how on earth it can be considered a good company? You might not have seen a branch of KVB in Kolkata. But that does not mean it is not a good bank. COLLECT FACTS ANALYZE THEN COMMENT. But why not invest in a business in the same field which is much better? Banking sector has biggies like SBI, HDFC, Axis, ICICI, PNB, Kotak Mahindra, etc. Do you think KVB fundamentals are better than these biggies? Appreciate your hard work in helping the retail investors. I have seen an article from you where you have mentioned how investing a small amount in the present blue chip companies 20 or 30 years back would have multiplied our wealth tremendously. Well, here’s news for you. KVB is one such bank with extremely good fundamentals. It is one of the few banks in India that services for over 100 years and has been one of the favourite stocks of ace investor Rakesh ji. He had bought KVB shares for few lakhs in 1990s and it is worth several crores now and it continues to be his favourite among banking stocks. The bank is very famous in south India and you may not have seen them much in north India.. I understand what you were trying to convey with this article. At the same time, I wanted to share the insights about KVB as well.. Thanks for reading.. Thanks for the insight Vinoth, but please try to understand that I will say in this blog what is more important for the larger interests of people. Most of my blog visitors are new comers in stock trading and I have to give them the most important knowledge on stock market investments and trading. You may be experienced but a lot or not. I know a lot of people follow my blog blindly. So if I say go for it they may buy and then lose money in 2 months or so and blame me for that. This is not good. I would better tell them safer stocks rather than tell them what the big experts are doing. Not everyone can become Rakesh Jhunjhunwala, but if they invest correctly in good stocks they can at least make more than inflation. This is what I want. Following basics is much better than trying to copy what the big investors are doing. I myself never buy any stock which is not in Group A or max Group B. I do not care what fundamentals other stocks have. For me they are dead. And my portfolio is performing very well. I have no desires to become Rakesh Jhunjhunwala by taking undue risks. That much money I do not have. I hope my point is clear now.